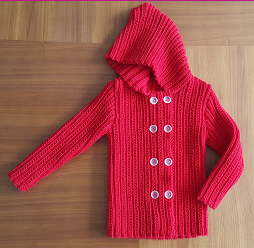 This child's double-breasted jacket has set in sleeves and a hood, and is worked in a textured rib stitch. 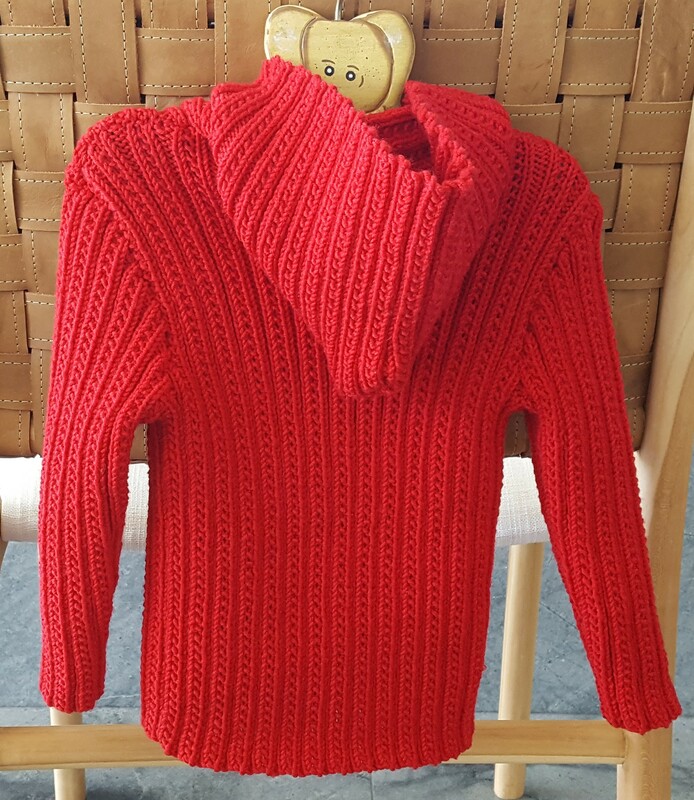 Warm and stretchy, it will suit both boys and girls. Merino Soft yarn is, as the name suggests, beautifully soft, making it a great choice for kids. Get the warmth and durability of merino wool, without any of the scratchiness. Click here to learn more about Merino Soft. To fit chest: 55 (60-65-70) cm [21¾ (23½-25½-27½) ins]. Garment measures: 63 (69-74-79) cm [25 (27-29-31) ins]. Length: 40 (44-48-52) cm [15¾ (17¼-19-20½) ins]. Yarn required: 8 (9-11-12) balls Rial Filati, Merino Soft, 50g balls@125m. Tension: 24 sts and 30 rows to 10cm [4 ins] over pattern (slightly stretched), using 4.00mm needles. 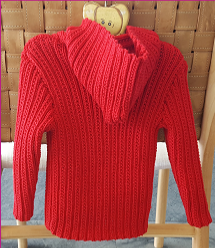 Note: This stitch will 'shrink' on your needles when knitting it and look very narrow, but it will stretch out once a body is wearing the jacket. Stitches used: Knit and purl.